The heating industry has been hit with a new bout of fears that the reduced number of completion certificates following the scrapping of Home Information Packs (HIPs) could mean there is a growing number of ‘black market’ illegal installations taking place. Completion certificates are issued by competent persons schemes or building control to the homeowner once the installation in question has been completed, such as a hot water cylinder or a new boiler installation. As part of the HIPs, homeowners were required to provide certificates as part of the pack. However, since the packs Home Information Packs were scrapped earlier this year, industry insiders say completion certificate numbers have fallen dramatically. The new coalition government dropped the controversial HIPs scheme in one of its first acts in power, with only the Energy Performance Certificate section retained if you are looking to sell your home. However, completion certificates, while no longer part of the HIP, remain a key element of the Building Control Regulations. The certification procedure usually involves installers arranging a review of the work from a building control inspector or self-certification if they are members of a competent persons scheme. Martyn Bridges, Director of Marketing and Technical Support at Worcester, Bosch Group, said: “The issue is that many installers know that buyer solicitors no longer have to request completion certificates from a seller as part of a HIP. With no enforcement there is reportedly a marked drop in notifications, which is a concern. The news comes after 81-year old self-employed plumber Frank Davey was prosecuted for carrying out illegal work on gas boilers with being Gas Safe Registered which was deemed as putting the lives of Norwich residents at risk. 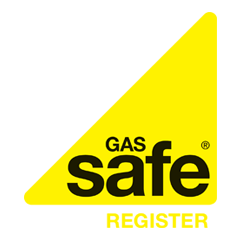 To find a Gas Safe Registered boiler to carry out any boiler work for you, request your free boiler quote with Boiler Guide by clicking here.